Old World Wood Floors, LLC installs unfinished wood flooring, sands, stains, and finishes old and new hardwood floors. We also install Bamboo, Prefinished, and Engineered hardwood floors. Custom work is also available like; borders, inlays, and medallions. Free Estimates are provided along with free design services, drawings, and any help you need with wood selection, stain color, specifications on all types of wood species, their grades, and widths. We are not a “Big Box” flooring store, so we do not have any wood flooring that is warehoused that we need to push out, just because we bought too much and now we are sitting on it. We gain nothing by you selecting one type of wood flooring over another – unfinished or prefinished. We are not a commission driven business. We are a 100% “Happy Customer” driven business! 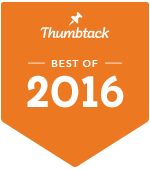 Our reputation stands for itself, as a large amount of our work comes by word of mouth. I feel the greatest value you will receive in choosing Old World Wood Floors, is our 25+ years of wood flooring expertise, which is invaluable to our customers. *I have conducted all sales to the installation over those years. At Old World Wood Floors you will not get a Salesperson that has never installed or sanded a wood floor and actually knows very little about wood flooring. In reality, they know nothing about all the fine nuisances and other extremely important aspects of wood flooring without installing them like; proper storage of the wood flooring prior to arrival, is acclimation really required – if any, and the correct moisture levels not just to install the new wood flooring, but the subfloor moisture, and the homes humidity levels prior to installation. All of which decides the fate of how much your new wood flooring will expand and contract over its’ lifetime in your home. This expansion and contraction determines what your wood floors will look like! 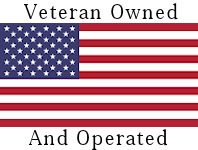 *There was a 1 ½ year period that I missed work due to being “mobilized” in the Army for “Operation Enduring Freedom” – to help fight the war on Terrorism. 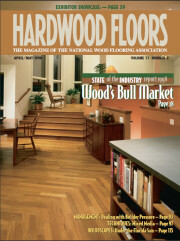 To see the magazine covers and read the articles that appeared in Hardwood Floors magazine, click the image below.